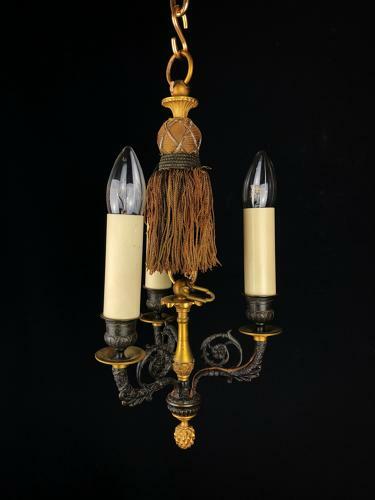 A small, three arm, parcel gilt patinated bronze Charles X chandelier. With acanthus leaf movements on the arms and stem, with an acanthus bud finial, all original gilt and patina throughout. Early 19th century.